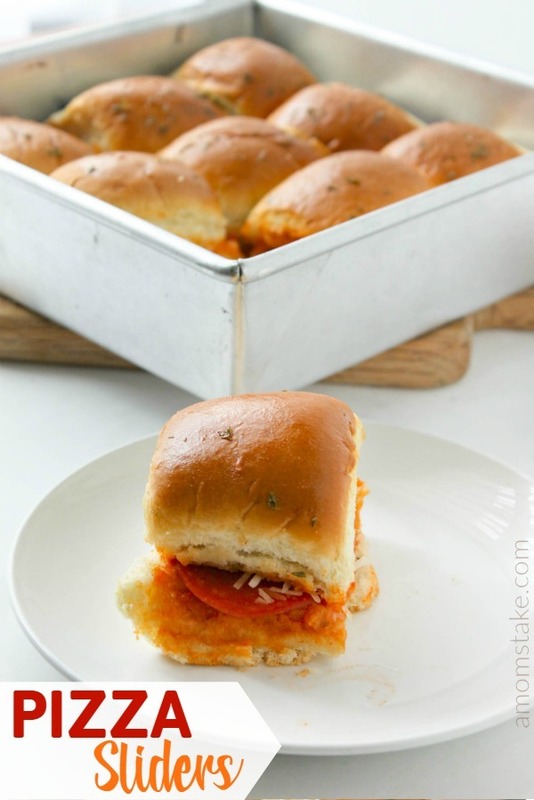 These pizza sliders will become your go to dinner recipes, so fast and easy! Done and ready in 15 minutes. 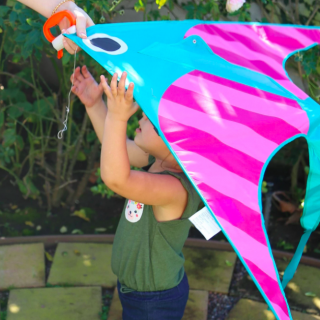 Great as an appetizer or a main entree and really fun meal for kids! These easy pizza sliders will become a life-saver for you to bail you out when the unexpected strikes. Just like they were for me. Here’s what happened. 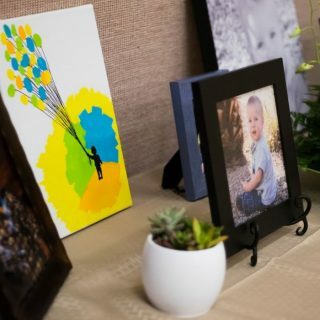 One year for my nephew’s birthday party, we were going all out! When we arrived at the party place, there were 5 cops out front and we decided it would be best to move the party back to our house. We had invited over 20 guests, who were all hungry and ready for a party. I assured them I could have dinner ready in no time, and not to worry. As we were on the way to my house, I tried my hardest to make a plan but came up with nothing. I started looking over all the ingredients trying to see what recipes could be done to fill a crowd this large. I saw a bunch of dinner rolls that I bought that morning from the clearance rack by the bakery and leftover ingredients from the pizza night we had the night before. That’s when the idea for pizza sliders hit me! This is a very inexpensive and quick meal to make. It only has a few ingredients so I don’t have to worry about making too much of a mess which I LOVE! So I got started cutting the rolls and half horizontally and spreading sauce evenly across the bottom. Then I did a little bit of cheese, pepperoni, and extra cheese on it. At this point I knew it was going to turn out great. Then I put the bun layer on brushed a little butter, garlic powder, parsley mixture over it all before putting it in the oven to get all melty. 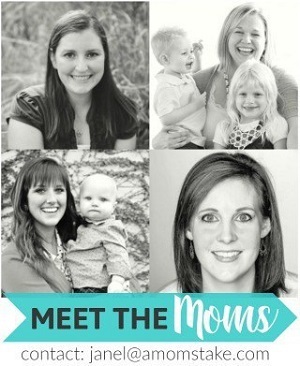 Let me just tell you, they were a hit! 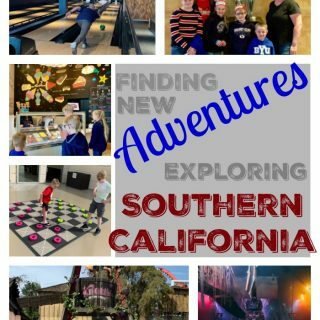 I brought the out to the kids and the gobbled them down, played some games, and had a great time. It didn’t take that long to make several pans of it and it felt good to know I had fed them all something homemade with way less processed ingredients than the pizzas I could have ordered. When making these yourself remember that you should add all the ingredients you love on a homemade pizza. It’s totally customizable to your taste. 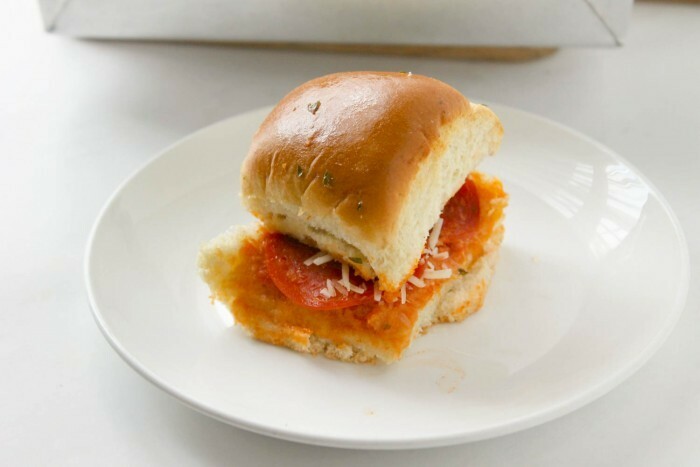 Pizza sliders are so easy, they’re perfect for a weeknight meal. Slice the buns in half horizontally (like hamburger buns) using a bread knife. Place the bottom half of the rolls in a greased 8x8 baking dish. Spread the sauce evenly on the bottom half of rolls. Add about ⅔ of the cheese on top of the sauce. Arrange the pepperoni and top with the rest of the cheese. Put the top half of the buns on. In a small bowl mix together the butter, garlic powder, salt, and parsley. Brush the mixture over the tops of the buns. Cover the dish with foil and bake for 10 minutes. 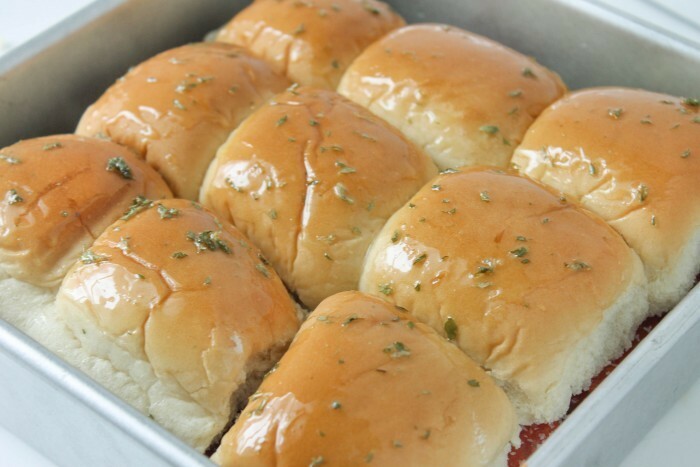 What toppings would you add to these easy pizza sliders? What a delicious idea! 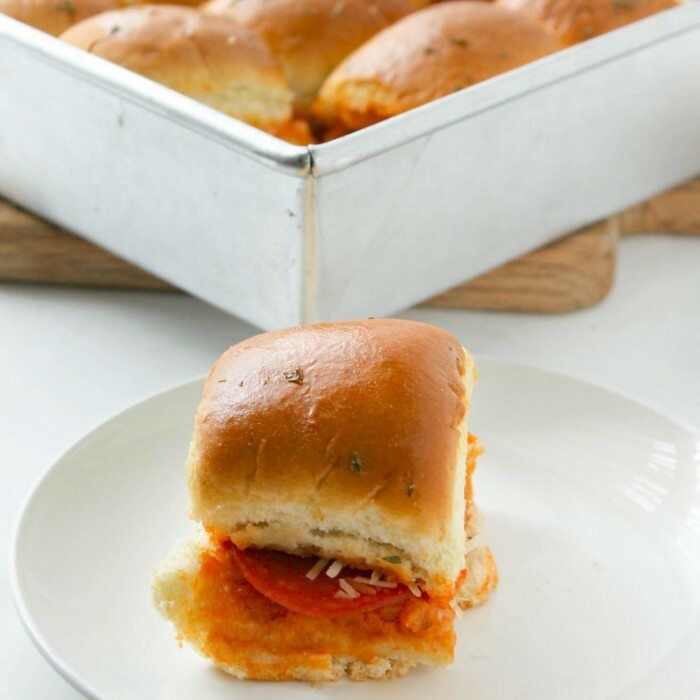 I can see these pizza sliders being a total crowd pleaser and they seem perfect for game day too. This recipe is totally genius! I make homemade pepperoni rolls but they are so time consuming. This would be a version to make easily for busy days. Oh my goodness this looks SO delicious. And like something I could pull off. I’m not the best cook. These look super yummy. 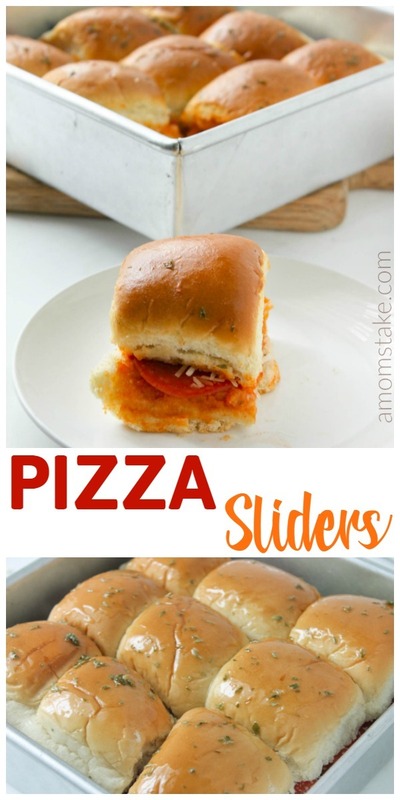 I would love to eat up these pizza sliders! Easy enough to make too, I think my picky eater will totally enjoy the pizza sliders too, so it’s a win! I LOVE pizza, and sliders so this is heaven on a cloud for me. Not to mention an easy dinner! Thank you! Wow. that’s so easy to make. My kids loved it thanks for the recipe.